Italy is a fantastic, very romantic and picturesque place that attracts visitors from all over the world. A lot of people come here to relax, to go sightseeing, to ski, to wine tasting, and surely… to get married! People from Great Britain, Russia and Scandinavia are fond of Tuscany, Americans love the Amalfi Coast, for Chinese people Rome and Venice are a great escape. For a lot of people planning a wedding in Italy is a dream. This dream is called destination wedding and wedding planners are the professionals who help you in making these dreams come true. As make up artist and hairstylist, I work closely with wedding planners in all parts of Italy such as Lake Como, Lake Garda, Venice, Rome, Umbria, Tuscany, Florence, Ravello, the Amalfi Coast, Naples and more. Wherever you go, is better to know a real professional. 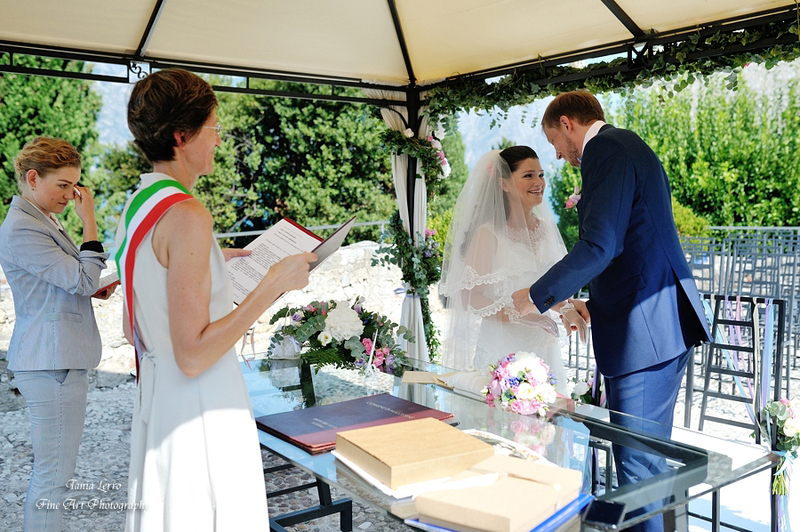 If you have in mind to get married in Italy its very smart to spend some time looking for a really skillful wedding planner, precise, organised, calm and determined, that knows well the traditions, culture and mentality peculiarities. As my experience shows, it’s better to find a wedding planner who lives in Italy rather than to bring one with you, as they will not be experts of the mentality. Italy is a particular country and even after the anniversary of 150 years of Italian unity in 2011 is not united at all. There are many differences in dialects, dishes, traditions, way of thinking and behaving. North-south antagonism is still as strong as ever in Italy. If you are organising a wedding in the south be ready for a very relaxed way of working. That’s why a good specialist of the region such as a wedding planner will help you to avoid all the stress: emails that don’t get replies (in the south, for example, they prefer talking on the phone). Also consider that being punctual sometimes is an optional, so be ready for some delays and postponing, a lot of taking, gestures and poor English. If you are going to find a make up artist, a hair stylist, a flower designer or a photographer by yourself try to contact only those professionals who already work with foreigners, because they speak fluent English, they know and understand your preferences and tastes, and they have a different style of working. Usually they have their websites in English. If you can’t find anybody by yourself, rely on your wedding planner paying a lot of attention to those suppliers’ portfolios and websites. If you spend some time looking for a very professional wedding planner, you’ll be sure to have an unforgettably beautiful wedding in Italy without too much stress!